...discover the Adriatic paradise! With Split Gulet Charter. When it comes to eating on a gulet, food and drinks are basically taken care of - charter gulets normally come fully crewed. There is usually a skilled chef preparing three meals a day. The food served on the gulet reflects the local cuisine and best Dalmatian and Mediterranean specialties including the finest fish and seafood, aromatic olive oil, fine cheese, the most tender lamb, vegetables, fresh fruit, etc. Gastronomads all over the world enjoy the specialties and make them a memorable part of charter gulet holidays. Wines served with the food are also of local origin. You can also enjoy beers, juices, spirits, tea or coffee. You are not allowed to bring your own drinks on board, unless stated otherwise. 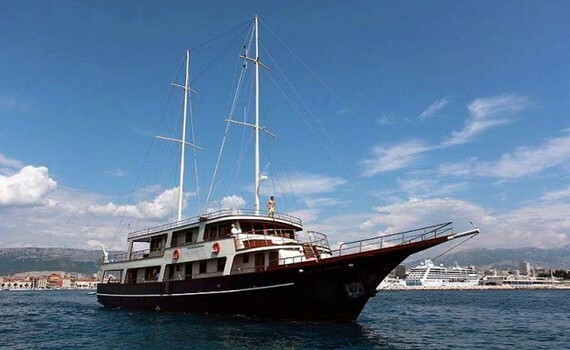 Chartering a gulet in Central Dalmatia will certainly make un unforgettable sailing holiday. With a gulet charter, you have the benefit of making your own itinerary. Split is a 1700-year-old city, center of Dalmatia boasting a variety of archaeological, historical and cultural monuments, such as Palace of Diocletian (UNESCO World Heritage site); the Marjan Park, a wide variety of restaurants and wine cellars, as well as many beaches in the city and its surroundings. Split area is one of the top gulet destinations, including the island of Vis with its Blue and Green Cave and there are many more wonderful towns and islands to explore and other popular tourist destinations. Romantic, wooden, small gulet accomodating 6-8 people, ideal for exploring secrets of Dalmatian coastline. Wonderful chefs on board! Accomodating up to 18 guests, experience Dalmatia on one of most luxurious gulets, with the Internet access, sauna and jacuzzi on board! 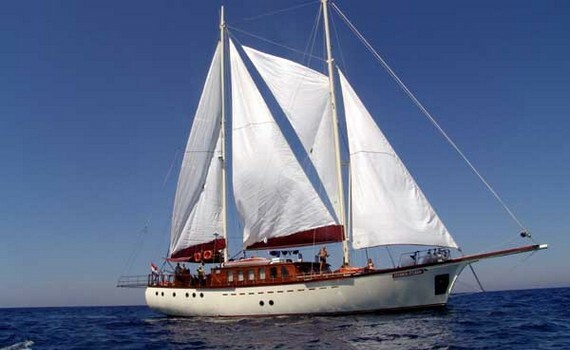 Fully equipped charter gulet Andi takes up to 12 guests in 6 air-conditioned cabins. Relax on its sun deck and enjoy your vacations. 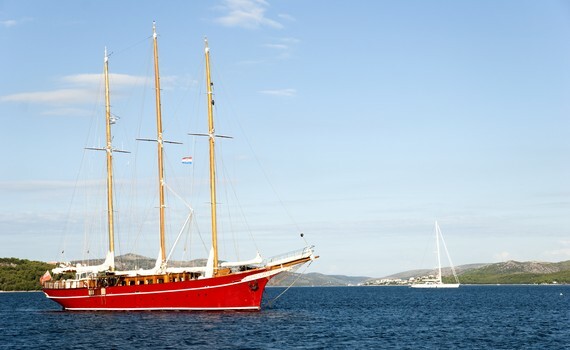 Gulet cruises are one of the best ways to spend your sailing vacation in Croatia. If you would like to know more about this traditional yacht, visit Gulet Cruise Selection, one of our specialized pages with information on how to select a gulet, its main features and top spots for gulet charter, as well as an overview of how a gulet cruise looks like and what to expect when it comes to cuisine aboard a gulet. 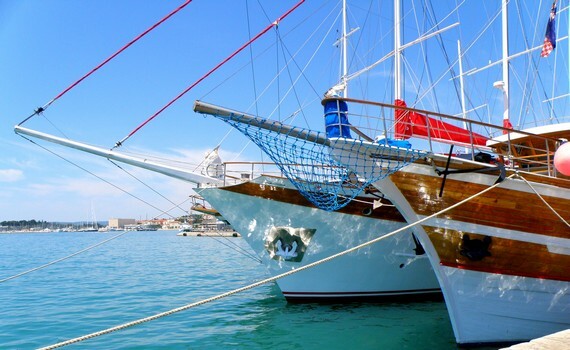 Opt for a gulet and enjoy a hassle-free vacation!